One of the most lasting ways to improve the beauty, value, comfort, and energy efficiency of your home is to invest in your home’s landscaping with safe, expertly performed tree planting in Atlanta, GA. This simple, affordable service ensures decades of serene, natural additions to your home’s landscaping in Atlanta, GA and when performed by professional arborists like those you’ll find here at Chop Chop Tree is ensured to remain safe, and healthy as it grows to become one of the most striking parts of your property. It may be hard to imagine but Atlanta tree planting services can be a rather difficult process particularly if the conditions of your soil and environment are less than ideal. That’s why getting in touch with trained, caring arborists for tree planting in Atlanta, GA is always a wise decision interested in lasting beauty and elegance from their home’s trees. 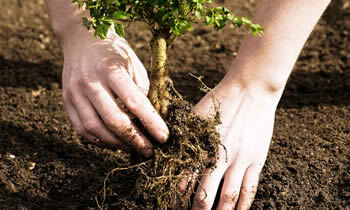 Why Choose Chop Chop Tree for Tree Planting in Atlanta, GA? Homeowners who call on Chop Chop Tree for tree planting in Atlanta, GA can depend on the highly trained, highly knowledgeable arborists who perform their service to have all the experience, expertise, and efficiency needed to quickly and dependably lend their home the countless benefits of newly planted trees. Atlanta tree planting projects can do wonders for the aesthetics, value, and energy efficiency of a home all perfectly tailored to the plans and preferences of the individual homeowner receiving the work. This ensures that homeowners who turn to our experienced local Atlanta tree planting arborists for service can look forward to the perfectly performed planting as well as all the care, growth assistance, and tree trimming Atlanta, GA homeowners will need to get the most reliability and satisfaction out of their home’s newest plant-life. If you’re interested in receiving a free consultation and estimate for tree planting in Atlanta, GA simply call our friendly and knowledgeable arborists at (678) 245-4737 to reserve yours today!